The 'Boyfriend' star faces off with Michael Madsen for the love of his life in his latest music video. 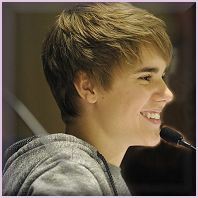 Justin Bieber fights to run away with the girl of his dreams in the newly unveiled music video for his brand new single 'As Long As You Love Me'. The 18 year-old singer teamed up with rapper Big Sean for the second official release from his recent album 'Believe', following the success of lead single'Boyfriend' earlier this year. Justin is seen acting opposite Kill Bill star Michael Madsen in the video's lengthy opening, as Madsen portrays the overprotective father of Justin's potential love interest. After being warned to stay away from her or face the consequences, Justin leaves his girl a note suggesting they run away and the two later escape in a car, in between flashbacks to earlier points in their relationship. The 'As Long As You Love Me' video features an emotional climax as Justin is seen gaining more and more mysterious cuts and bruises, before it is revealed he sustained them in a severe beating from the Reservoir Dogs actor, after the young lovers were confronted on the road. US rapper Big Sean also appears in the heavily hyped promo to perform his rap during the middle eight section of Justin's latest release.